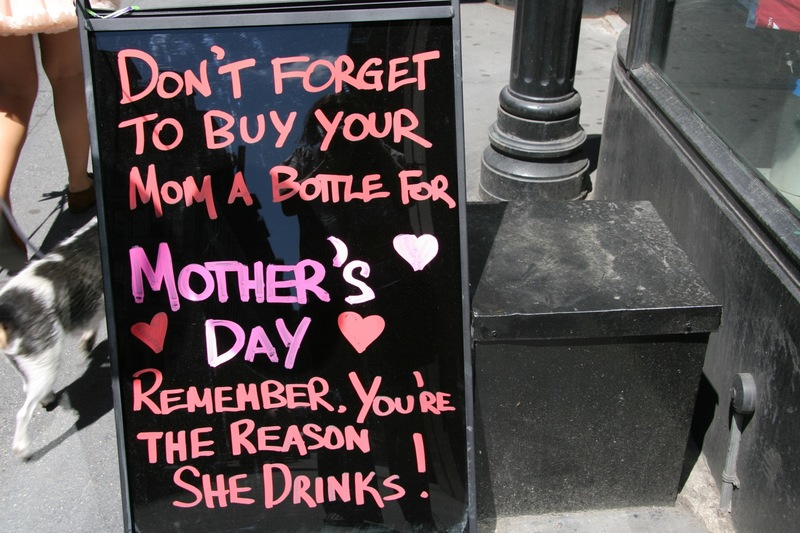 Here’s to the Moms out there today! 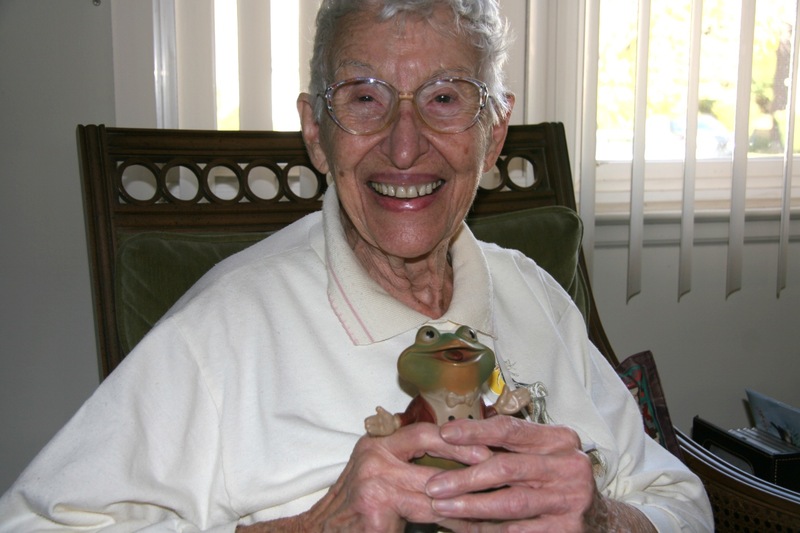 And, my Mother-In-Law, with her first son – Froggy! 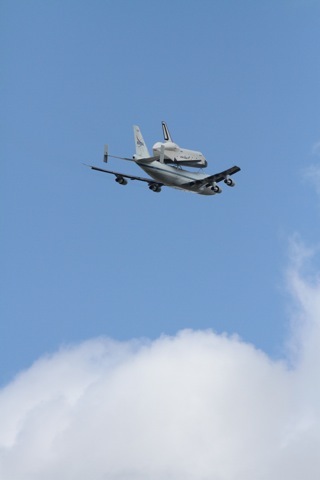 FACT: The Space Shuttle Enterprise is now in NYC. She flew along The North River (aka The Hudson River) yesterday morning, which I witnessed with my very own eyes. 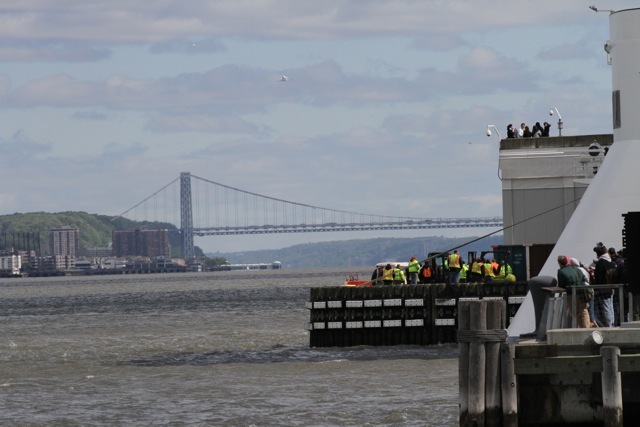 FACT: Pier 84 was crowded with excited spectators. FACT: We eagerly stared down river, watching for first sight. 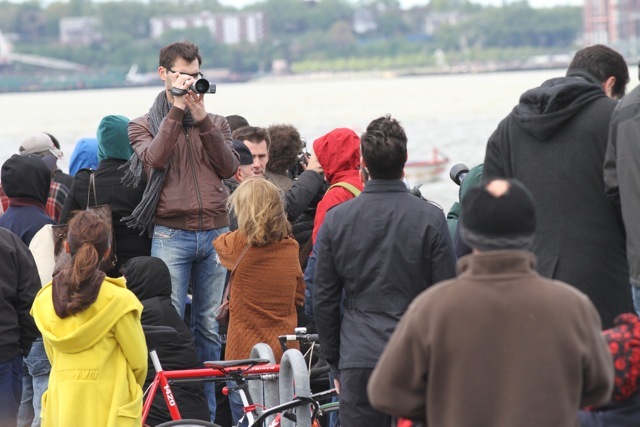 FALSEHOOD: Someone yelled “You’re all looking the wrong way!” and everyone turned and gazed to the North. FACT: We had Twitter. We knew Enterprise was coming from the South, from the Statue of Liberty. FACT: We were right! Here’s my first sighting! What did those birds think? 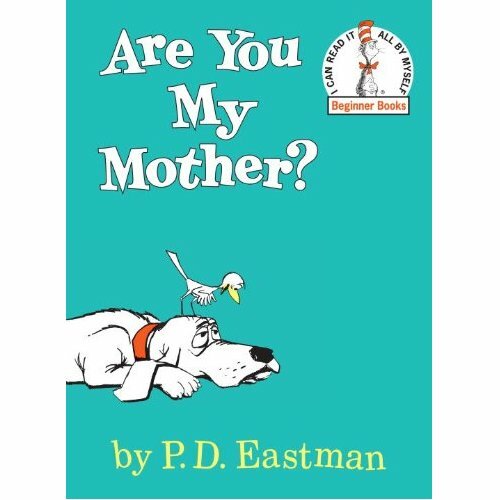 TRIVIA: One of my favorite books as a itty bitty girl was “Are You My Mother?” – where a baby bird thought all things were its mother. FALSEHOOD: Maybe those birds thought Enterprise was their mother – nah! 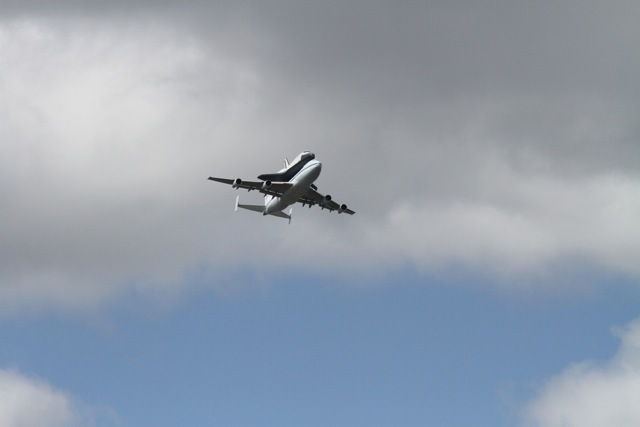 FACT: Somehow mounted onto a giant 747 jumbo jet, the Enterprise got closer and closer – flying low and slow. Overhead the two crafts were a truly awesome sight. towards the George Washington Bridge, then finally out of sight. 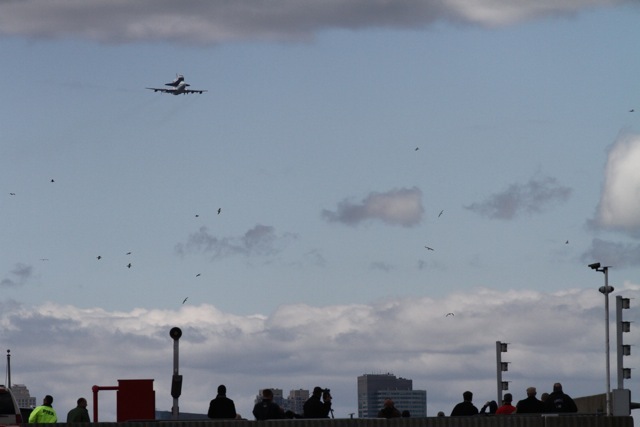 FACT: Until they flew back south past us again, then on their way to JFK Airport. TRIVIA: Completed in 1976, Enterprise was designed as a prototype test vehicle. Test pilots demonstrated that it could fly and land in the atmosphere like airplanes, but the Enterprise never flew in space. 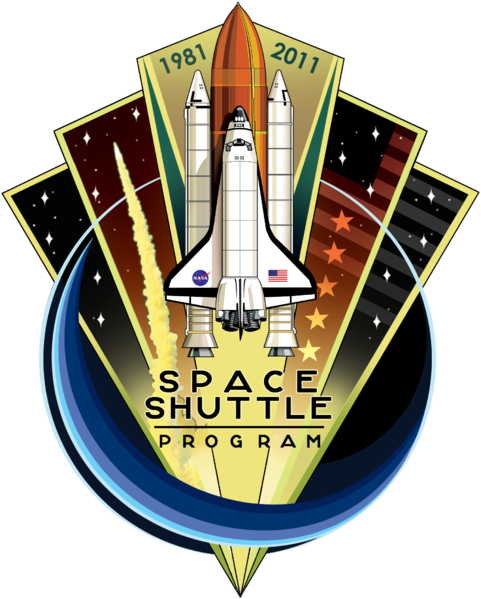 TRIVIA: The shuttle was originally to be named the Constitution, but a write-in campaign by fans of the television series “Star Trek” persuaded officials to rename it in honor of the show’s main starship. 1976 – Enterprise – now to be displayed in NYC at the Intrepid Museum. 1981 – Columbia – disintegrated during re-entry 2003; all 7 crew members died. 1983 – Challenger – disintegrated 73 seconds after launch 1986; all 7 crew members died. 1984 – Discovery – now to be displayed at the The Steven F. Udvar-Hazy Center (the Smithsonian National Air and Space Museum (NASM)’s annex at Washington Dulles International Airport). 1985 – Atlantis – now to be displayed at the Kennedy Space Center Visitor Complex near Cape Canaveral, Florida. 1992 – Endeavour – now to be displayed at the California Science Center in Los Angeles, California. TRIVIA: NASA announced it would transfer space-worthy orbiters to education institutions or museums at the conclusion of the Space Shuttle program. Each museum or institution is responsible for covering theUS$28.8 million cost of preparing and transporting each vehicle for display. Twenty museums from across the country submitted proposals for receiving one of the retired orbiters. 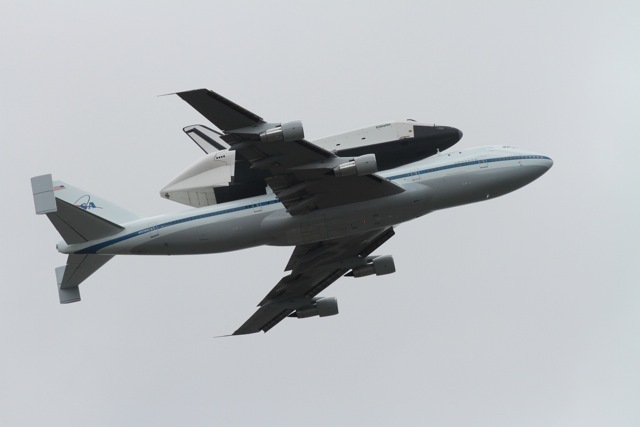 TRIVIA: NASA retired the Space Shuttle in 2011, after 30 years of service. What a thrill it’s been. I can’t wait until The Enterprise is floated by barge on the Hudson River and lifted by cranes onto the Intrepid. Welcome to New York, and thanks for the show!! 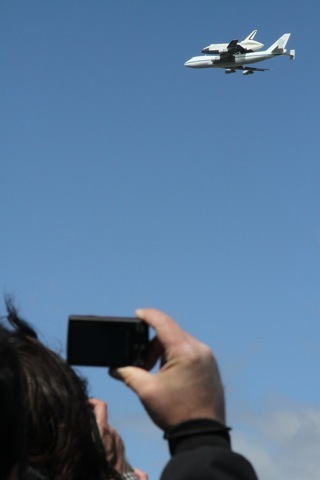 This past Thursday – April 19, 2012 – was a very sad day. 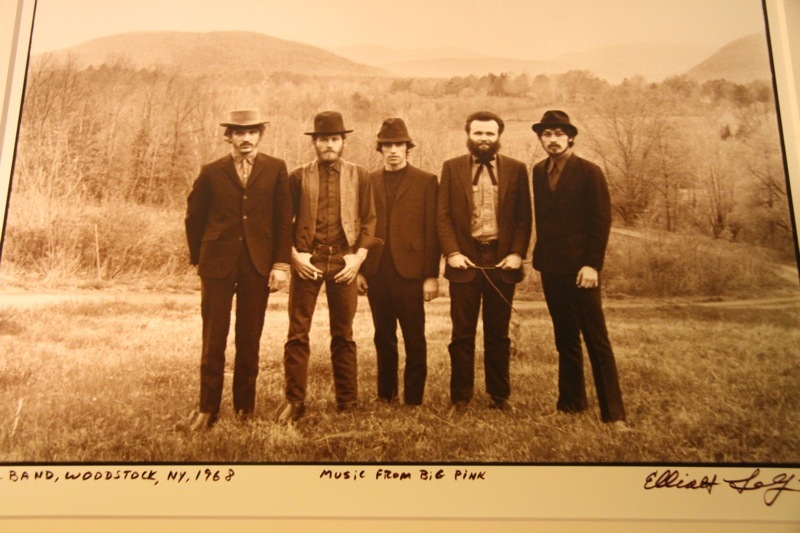 The day Mr. Levon Helm lost his battle with cancer. “…his approach to music throughout his life was “The W.S. Walcott Medicine Show,” an ode to the kind of freewheeling gatherings in which the musician, who died of cancer Thursday at 71 in New York, thoroughly reveled. …while reading it I was taken back a few years – to May 2008, in fact. 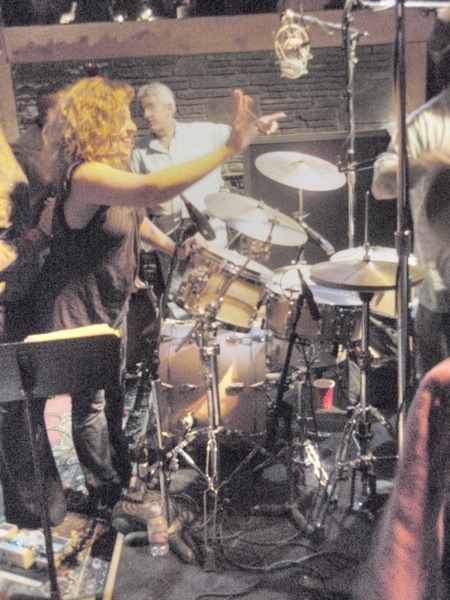 To my experience at Levon’s Midnight Ramble. 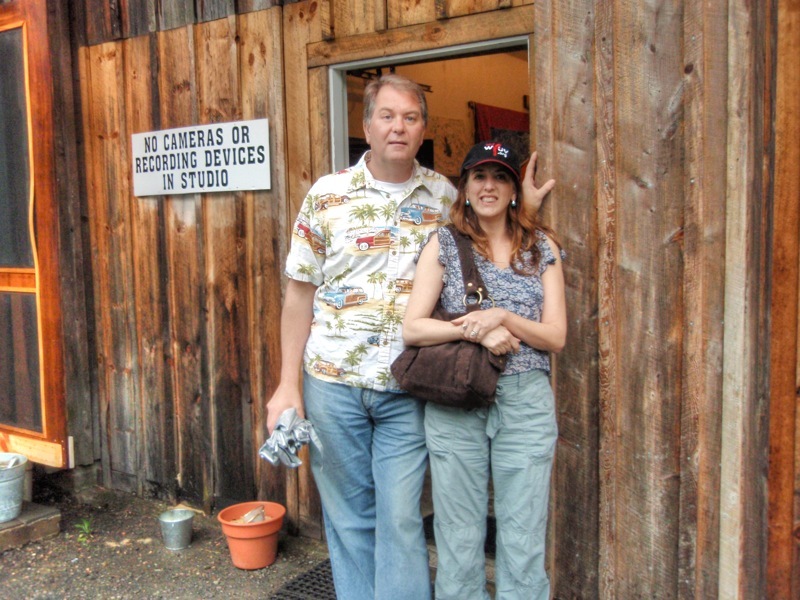 I went with my music pals, M&E, to Woodstock for a Ramble. 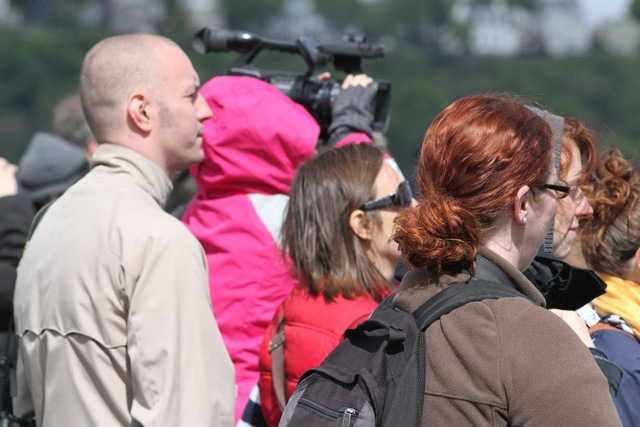 “No Cameras” – how I HATE those words! I knew that was the rule of the Ramble, so I didn’t take with me my good camera. I took along a little point and shoot – in case it was confiscated, or in case I was told to leave it in the car. And even though I got inside with it, I didn’t dare try to take any pictures during the show. We were seated so close to Levon, that M (who was seated on the aisle) might have stretched out and touched the drum kit, if he had wanted to! The Ramble was AWESOME. 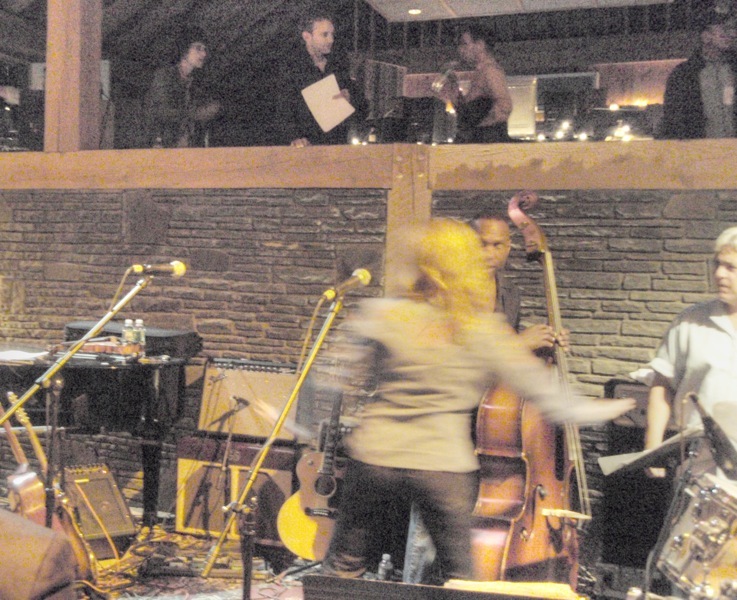 Levon seemed to have the energy of a 30-year old man, and his nonstop grin lit up the room. The band was tight and incredible and everyone was having a blast – especially the players. Especially the audience. 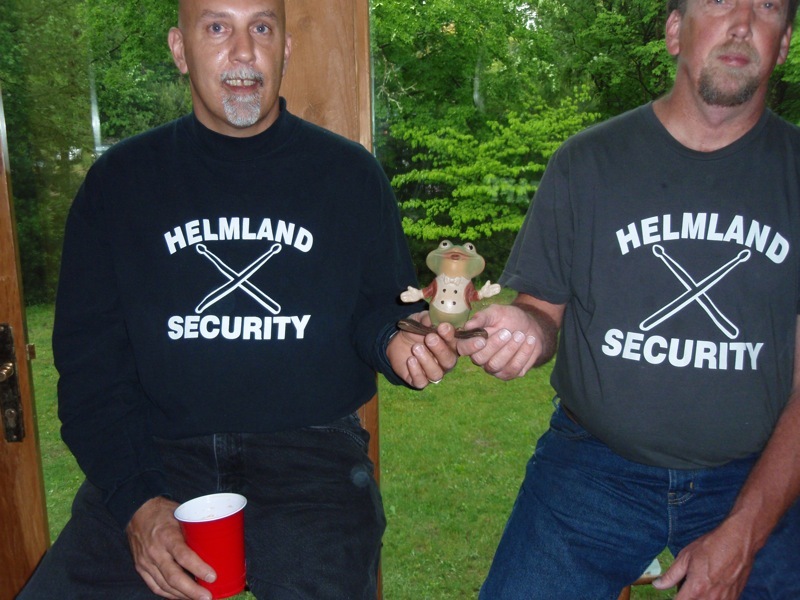 Froggy was excited about having his picture taken with a couple of the Helmland Security men. I was kind of hoping to loosen them up so I could sneak a picture or two. No, I didn’t take any pictures during that magical performance. But here are a couple I grabbed as the players were leaving the room. Isn’t it remarkable and bitterly sad that those three charming, handsome, talented young men on the left are no longer rambling around on this Earth?? Thankfully their music will live on forever and forever. I know some of us are in The Helm camp – some in The Robertson camp – when it comes to The Last Waltz and the bitter feud that followed… I am simply in The Band camp. My Little Dill-Weed’s Birthday Today! Yes, once again the day has come – April 14th. 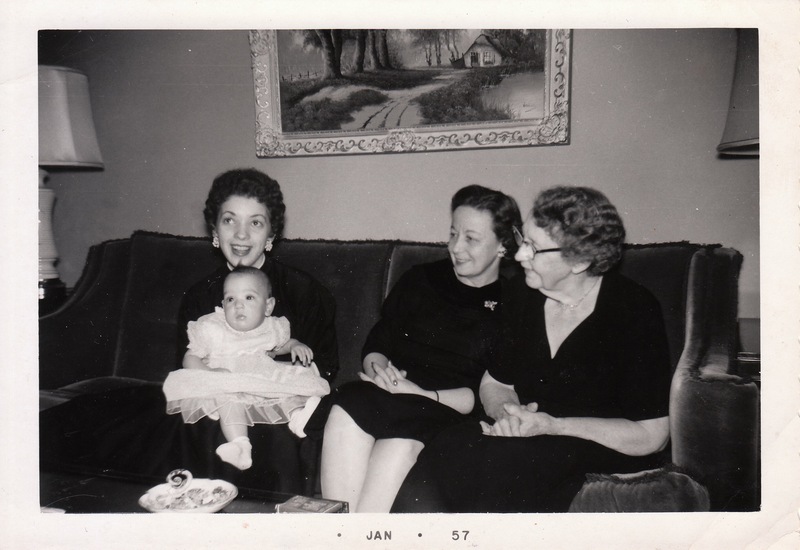 This day in history: the Titanic struck the iceberg, and the day my sister’s youngest child was born. 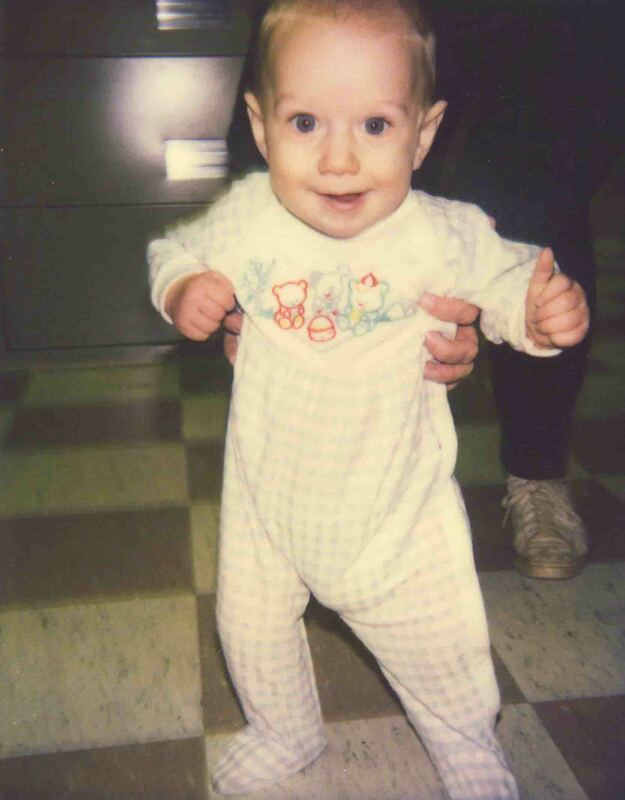 Dyl is 21 years old today! 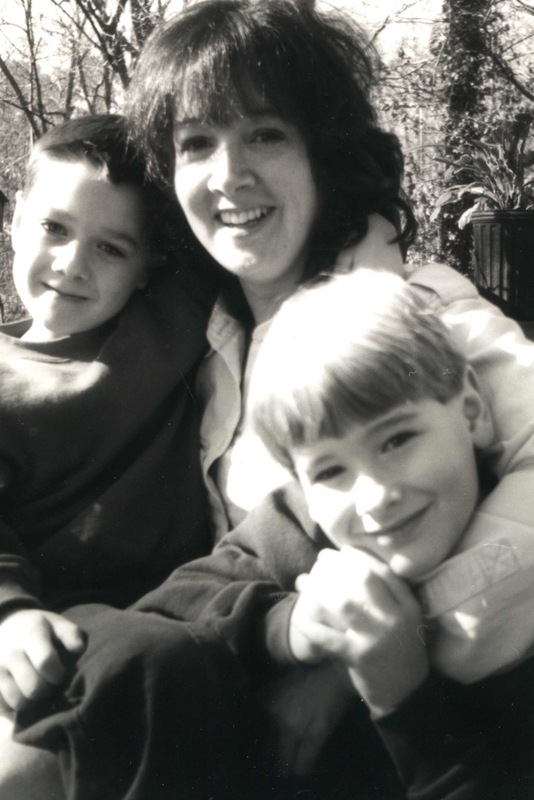 “Those awkward years have hurried by, why did they fly away? Why is it Sir, children grow up to be people one day? What takes the place of climbing trees, and dirty knees in the world outside? If you wanted the world I’d surround it with a wall. 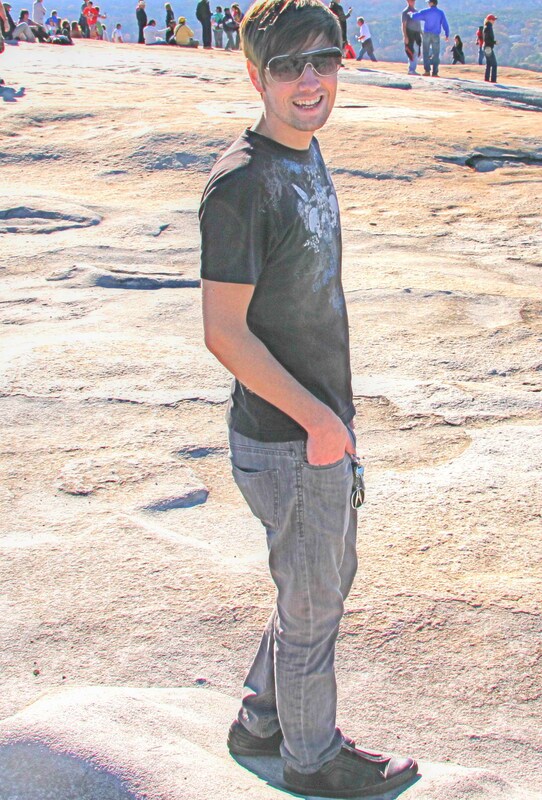 Happy, HAPPY 21st Birthday, Dylan!!! Hugs, hugs, hugs and more hugs! 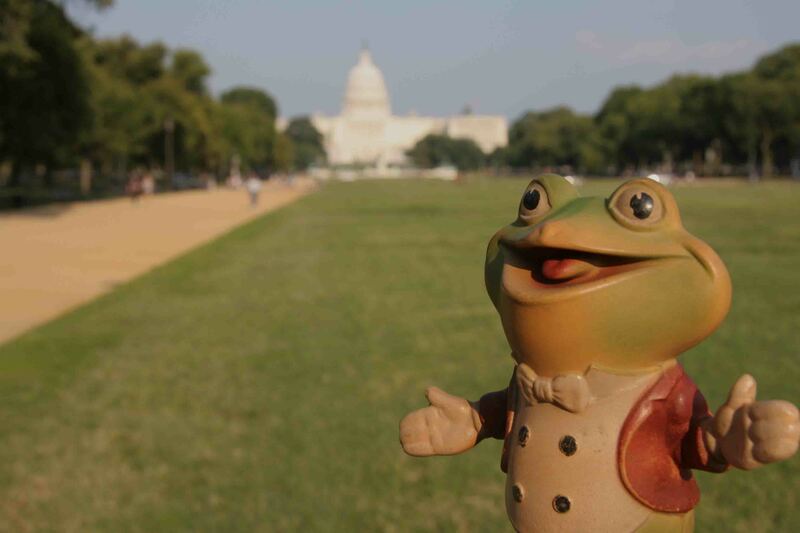 Froggy wants to tell you about his trip to Washington DC. 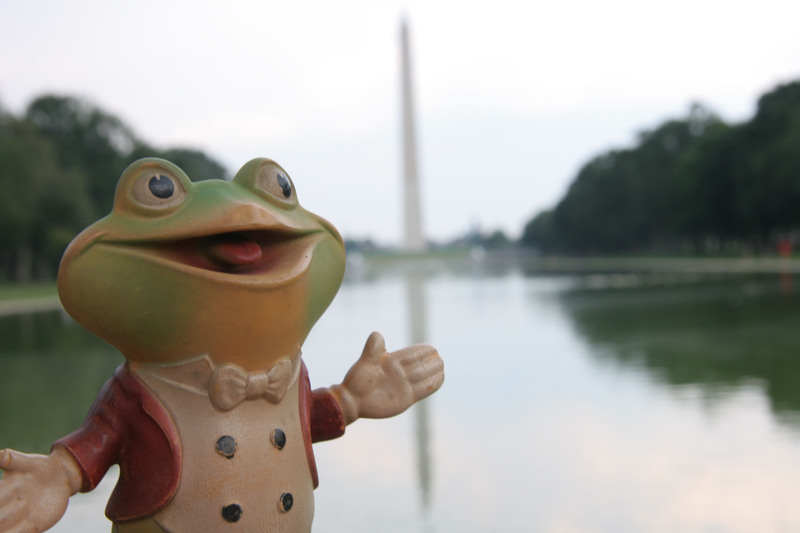 He only spent a long weekend, and he jam-packed it with monuments, museums and mouth-watering good eats! He felt great patriotic pride, and he was in awe of the history and splendor. One of the first places he headed to was the International Spy Museum. 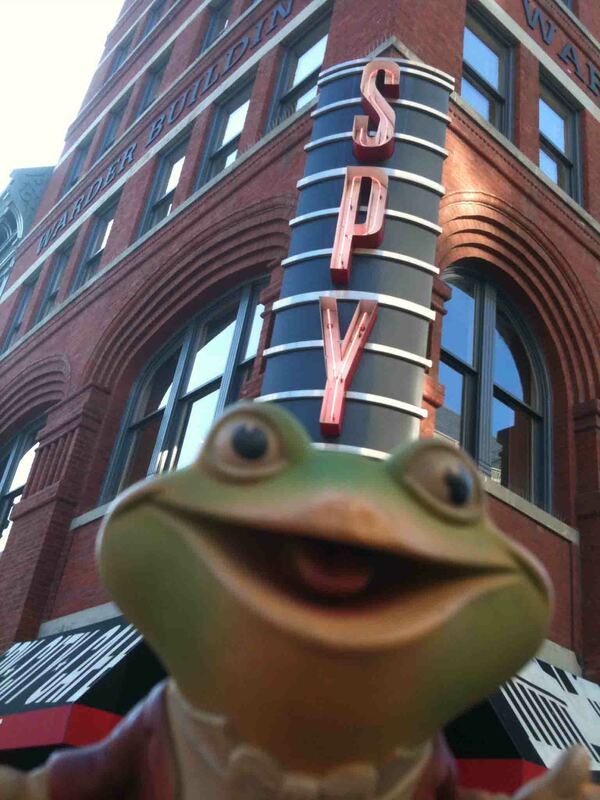 He was duly impressed by the miniature weapons, cameras and other concealable spy devices – just the right size for a frog. 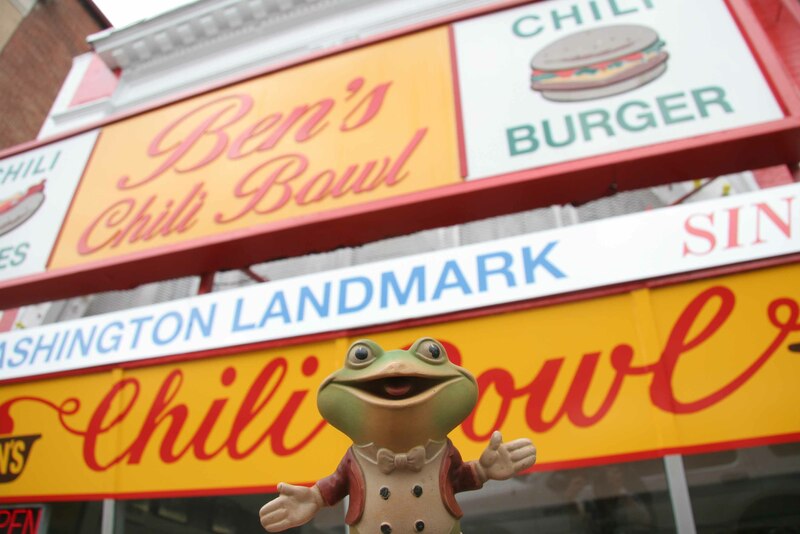 He ate at Ben’s Chili Bowl – YUM! It was a little messy, but he managed to not drip a drop of chili on his clothes. 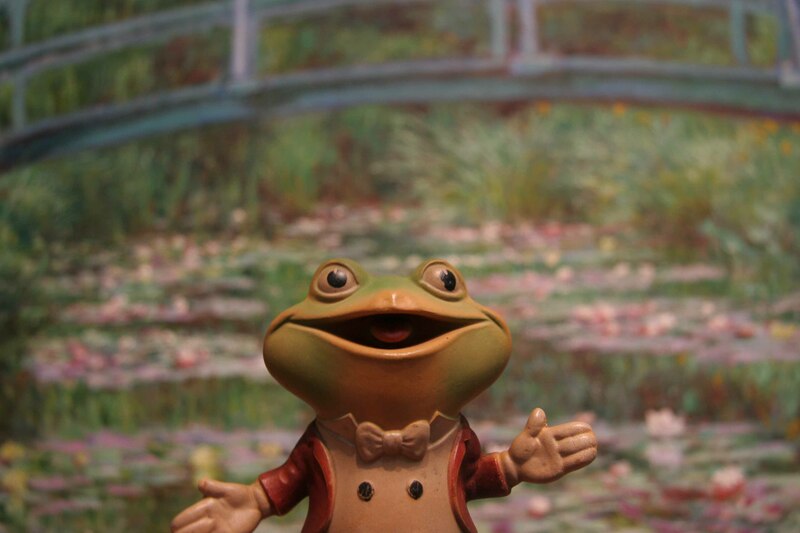 He tells me not to forget to mention The National Gallery of Art. 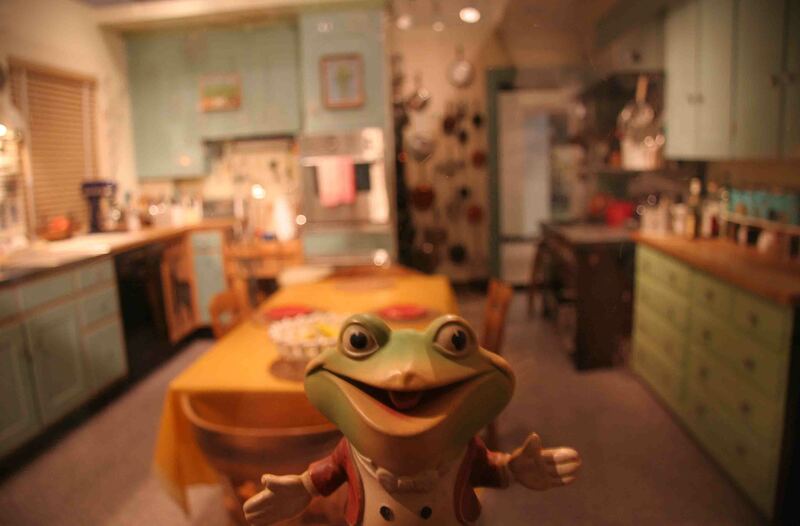 And – here’s a little quiz for you – who can guess where Froggy is in this picture?? 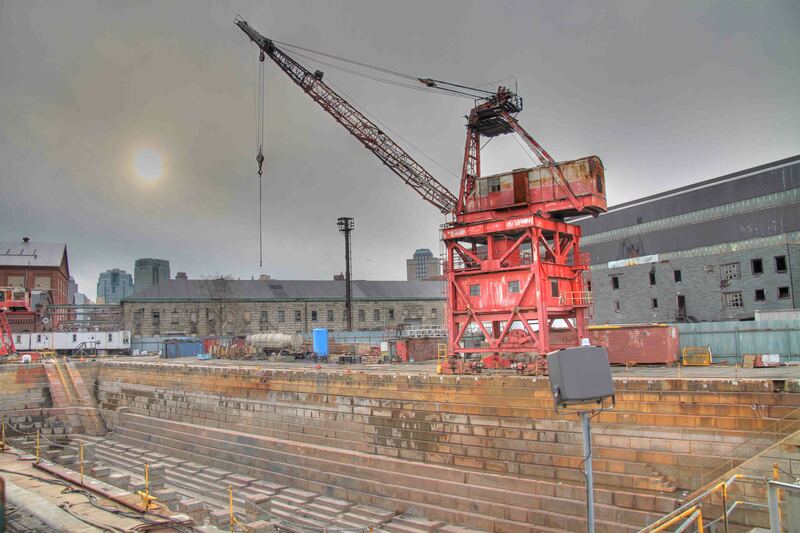 Visiting The Brooklyn Navy Yard – And A Bit Of Hubby’s Family Lore. 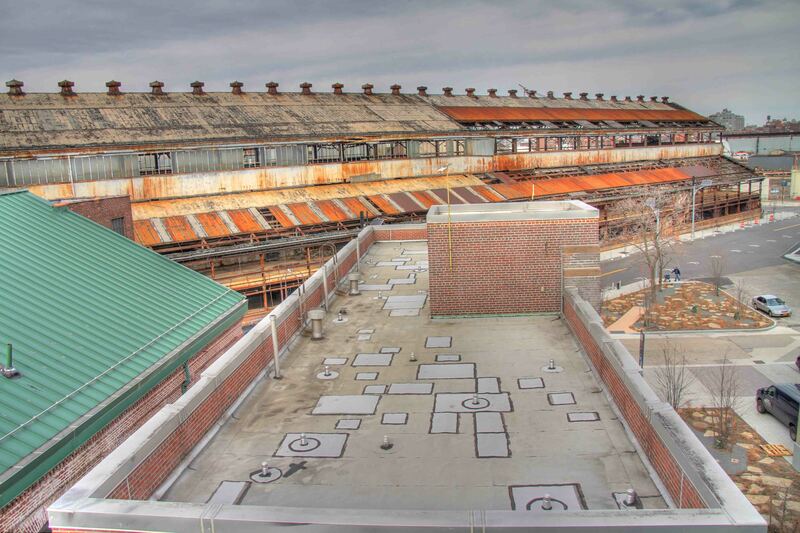 A few weeks ago, Hubby and I visited The Brooklyn Navy Yard. It was decommissioned in 1966, and has been closed to the public since then. 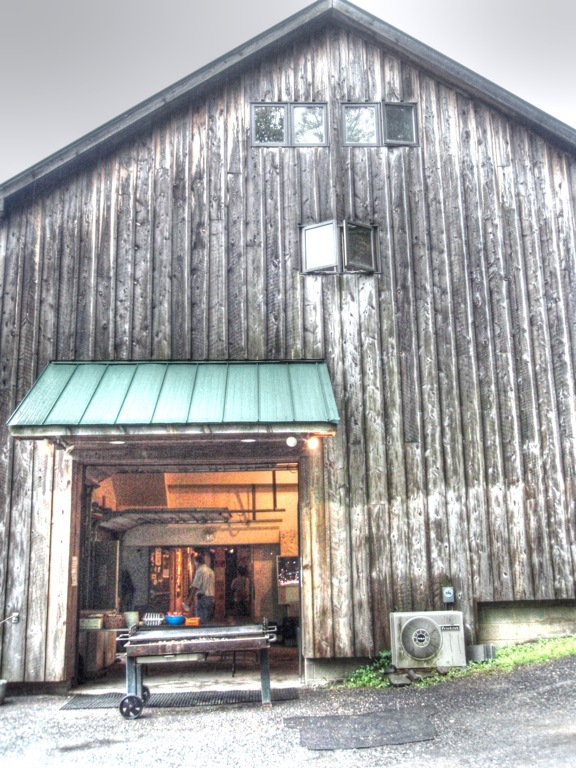 It has recently been turned into private business spaces and just a few months ago opened a museum on the grounds. Hubby has been eager to visit. 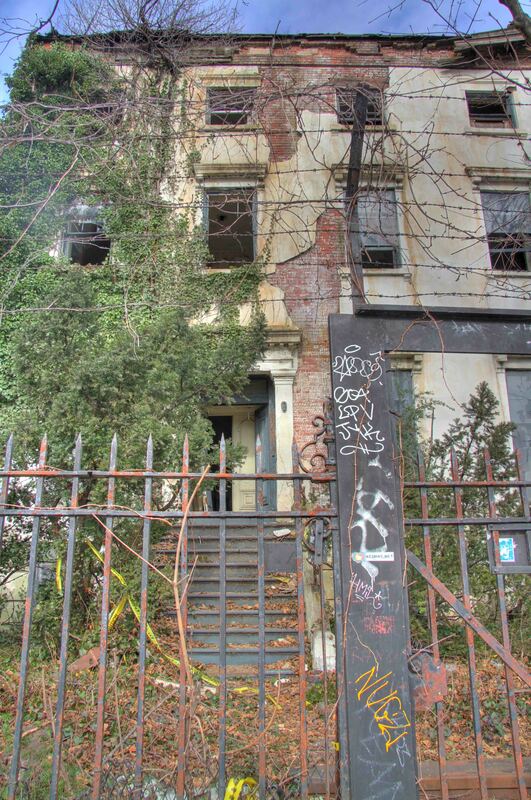 His Father worked at the Brooklyn Navy Yard for 20 years – from after World War II to when it closed. 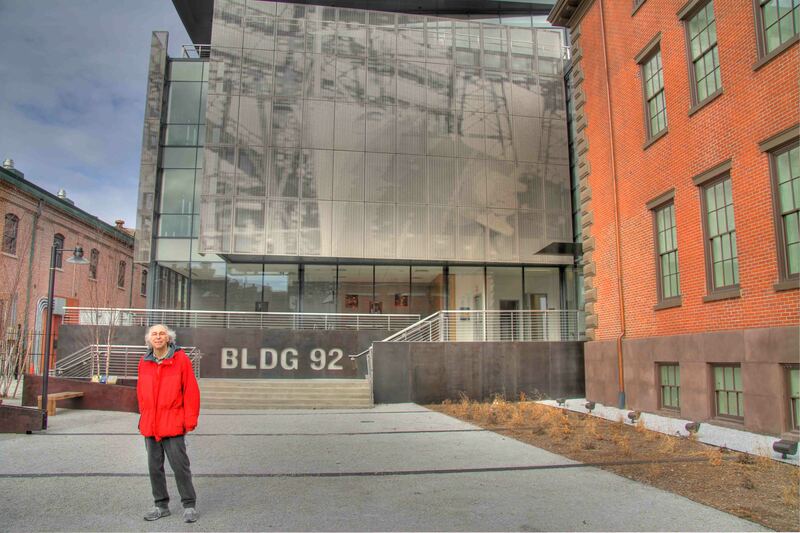 and then entered the museum area – Building 92. The museum is FREE (open Wednesday – Sunday: 12 pm – 6 pm) and they have a nice little cafe (we had the BEST tomato soup and grilled cheese paninis) and we also had made reservations to take the bus tour of the grounds – highly recommended! 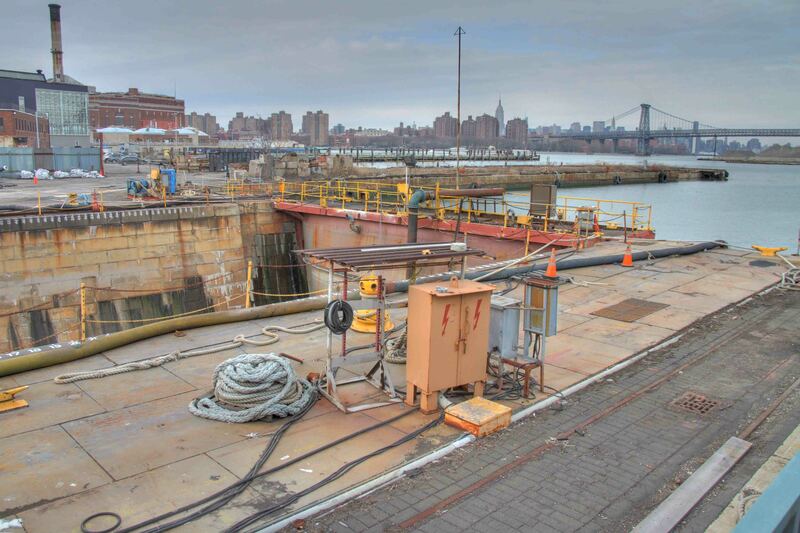 We learned on the tour how the ships came into the drydocks for repairs, and how – as ships became larger – the Navy Yard started to become unusable as the ships could no longer pass under the Brooklyn Bridge (!). We had a GREAT time, and learned a lot! 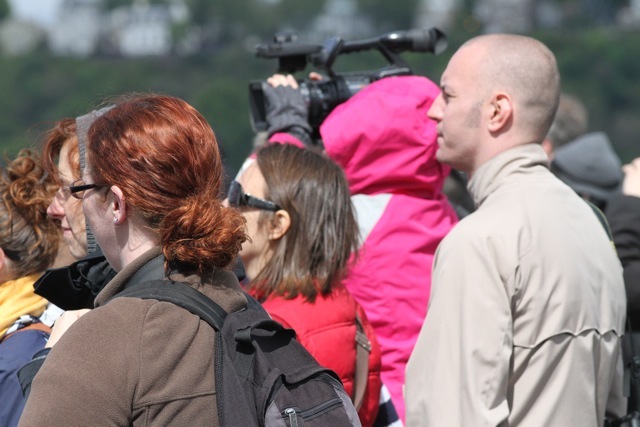 The 1-hour tour cost $18/per person – next time we want to take the 2-hour tour!! Exit on Adams Street. Either transfer to the B69 to Cumberland Street and Flushing Avenue or walk down Sands Street to Navy Street and make a right on Navy Street. Take Navy Street to Flushing Avenue and make a left. Continue on Flushing and you will arrive at Building 92 on your left hand side. Total walk is about 20 minutes. A week or so after our visit to the Navy Yard, we visited Hubby’s Mom. 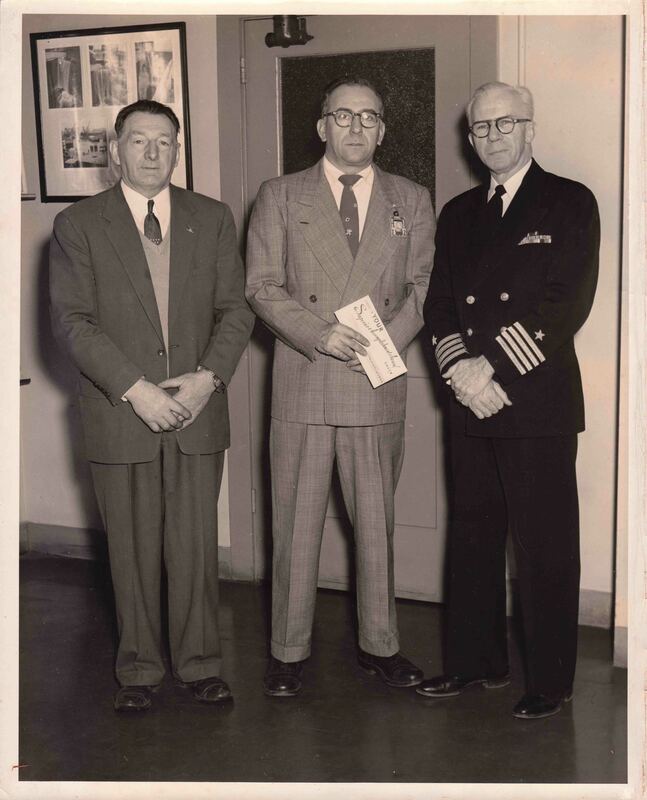 She showed us about 60 photographs and other paperwork from the Navy Yard that Hubby’s Father had accumulated during his 20 years there. 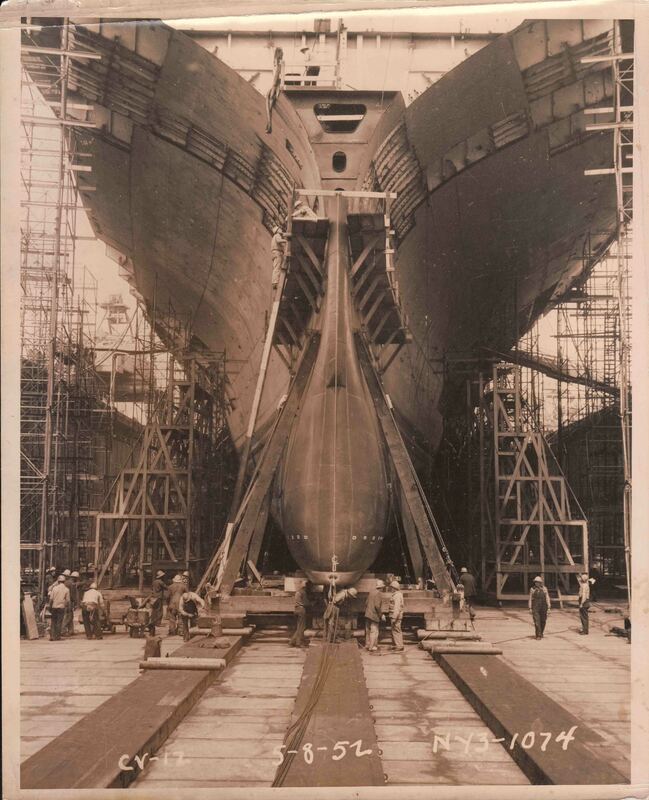 Hubby’s Father worked at the Brooklyn Navy Yard for 20 years. He almost never took any vacation time (hence the reward) – his plan was to accrue his vacation time and then retire – getting a year’s worth of vacation time in additional pay. Hubby is thinking of donating the batch of photos to the museum. Maybe they’ll name a wing of the museum after Hubby’s Father! Hubby’s Father deserves no less!! No vacation time in 20 years warrants a wing, in my mind! 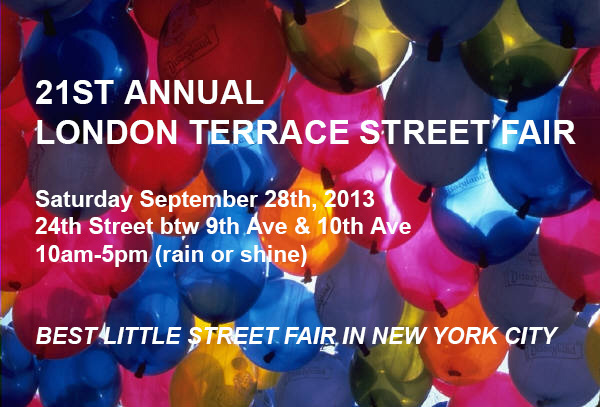 Click on any image to see larger version, then click your "back" arrow to return to blog. All rights reserved. Please don't use my photos or other content without my permission. Quiz Time – Mad Men & Downton Abbey! Where To Go Next Time You Have To Go? The American Folk Art Museum! 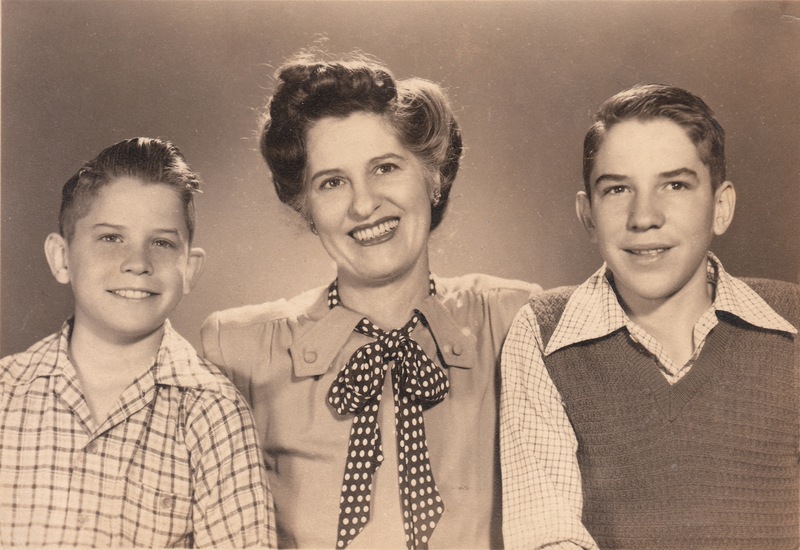 My Parents – I Think I’ll Keep Them! 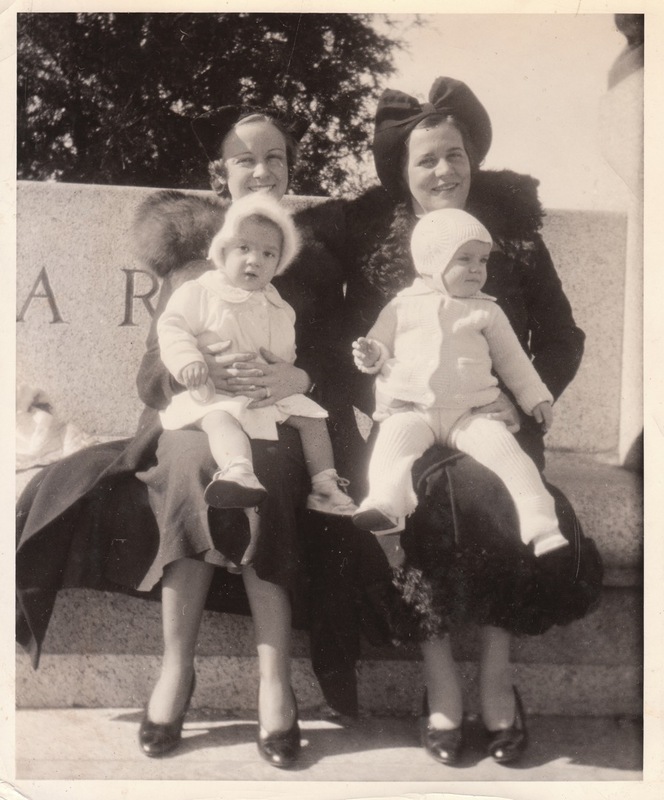 The 1940 Census Release – 80 Days And Counting!